PARLIAMENT HILL—China’s communist regime is roaring ahead with a plan known as “indigenous innovation”— a collection of policies that favour Chinese companies and take aim at foreign firms that have found success in the Chinese market. The U.S. has been raising the issue for years, but the same can’t be said for Canada. The only proof Canada is aware of indigenous innovation comes from a 2009 U.S. diplomatic cable from the U.S. Embassy in Beijing to the State Department in Washington leaked online by Wikileaks. The Department of Foreign Affairs, Trade, and Development (DFATD) confirms it has not publicly mentioned indigenous innovation. Questions to the department about China’s indigenous innovation policies were answered with talking points pledging Canada’s pending investment deal with China would offer increased protection for intellectual property. The Chinese regime is using indigenous innovation policies to boost domestic companies—mainly state-owned enterprises—and shrink the market share of foreign companies in China. An example is a national procurement catalog that dictates industrial equipment that should be sourced from domestic companies, or “re-innovated” from the intellectual property of foreign firms. Many of those foreign firms have invested heavily to develop products in China so they would be allowed to sell those products in China. Foreign firms are also hit by a 2006 anti-monopoly law that can limit the royalties they collect from Chinese firms and curb other intellectual property (IP) rights. Amendments to China’s patent law at the end of 2008 expanded grounds for compulsory licensing to Chinese companies, forcing foreign firms to empower their Chinese competitors with hard-earned research and development. DFATD has been unable to confirm what impact the Canada-China Foreign Investment Promotion and Protection Agreement (FIPA) will have on indigenous innovation policies. International Trade Minister Ed Fast told the Epoch Times issues like patent restrictions that favour Chinese firms could be taken to arbitration under the FIPA. “It would be arbitrators who would determine whether in fact such discrimination had taken place, whether it fell within any of the excluded areas,” he said. Those “excluded areas” are known as non-conforming measures, and it would appear that the vast majority, if not all, of indigenous innovation policies would not be covered by the FIPA. A question seeking confirmation from DFATD on that point was not answered by press time. In essence, indigenous innovation moves the Chinese regime from protecting foreign intellectual property to creating legal avenues to absorb it and use it against foreign firms. A case in point is rail, where China’s Ministry of Railways has forced foreign firms into joint ventures with state-owned firms. 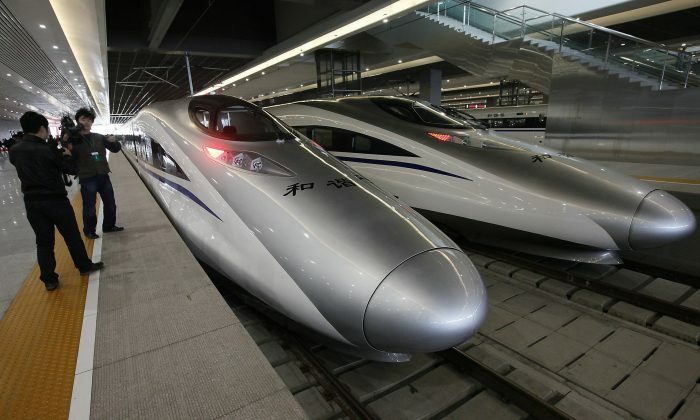 Companies like Siemens and Kawasaki Heavy Motors were compelled to license their technology so trains could be sold in China. Now those same Chinese companies are marketing their own trains around the world. “It thus appears that the technology transfer of foreign companies has helped Chinese companies to become global competitors in rail,” reads testimony from Jeremy Waterman before the U.S. Trade Commission in 2010. Waterman said indigenous innovation policies are used to circumvent China’s commitments in the World Trade Organization. Beijing blames foreign companies for suppressing Chinese development with stifling patents, and has been using that rhetoric to stir up support for indigenous innovation policies. An article published June 1 by the regime’s Xinhua news outlet promises in its title that the “Wild West” era of foreign firms causing trouble in China is coming to an end. It quotes unnamed experts proclaiming the past era of foreign firms having uncontrolled access to China are ending, never to return. (Foreign firms who have writhed and wriggled to get into China will likely find that latter point questionable). Minister Fast is well aware of the problem of IP theft. He says it is among the top concerns Canadian companies bring up with him on his trips to China. But Fast emphasizes the opportunities for Canadian firms in China. He’s eager to see Canadian exports grow, and announced four new trade offices in China during his trip there in May. Fast said trade commissioners in China will help Canadian firms avoid trouble. The Trade Commission makes no mention of indigenous innovation policies. Several Conservative MPs who work on the China file had also not heard the term. Erin O’Toole, Fast’s parliamentary secretary, said the FIPA would give Canadian companies—which have little protection from IP theft in China—at least one avenue of recourse: lawsuits. But a FIPA suit is best used as an exit strategy, says Todd Weiler, a noted lawyer who represents investors at FIPA tribunals. Suing the Chinese regime, or any other authoritarian or corrupt government, is almost certain to bring retaliation, he said. Fast said the FIPA does ensure the repatriation of capital, but he would not comment on specific cases when asked if the FIPA’s primary value came only when a company decided to leave China. When asked whether the FIPA would give Canadian firms a false sense of security, he answered by explaining the role of trade commissioners. It’s possible that indigenous innovation polices are of less concern to Canada than the U.S. because Canada exports mainly raw materials while the U.S. exports far more manufactured goods.